Ignac Sustala's Nesseldorfer Wagen-bau-Fabriks-Gesell-Schaft started building coaches and railway equipment in 1853. The company's first motorcar - the Nesseldord President - was presented in 1897. 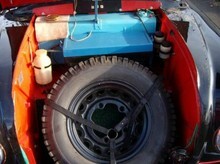 The car was powered by a two-cylinder Benz engine. In 1900, the company built its first engines and as early as 1906, cars with a 3.3 litre, four-cylinder engine with an overhead camshaft left the factory in Koprivnice. The model, designed by Hans Ledwinka, was called the Nesseldorfer S. In 1910, a model was launched with a 50 bhp, six cylinder engine and by 1914 cars could be supplied with brakes on all four wheels. In 1916, Ledwinka left the company. 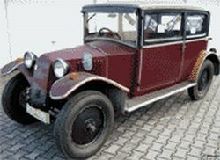 When he returned to his former employer some six years later in 1922, the company had since been re-named Tatra-Werke AG. After 1926, Tatra also sold models with a 2.0 litre and 2.3 litre, six-cylinder engine. 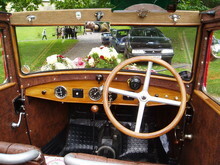 And in 1930, the range even included a V12 engine. The Tatra 57 was unveiled in 1932. Along with its successors, the 57 A and 57B, it was to be one of the best selling models. 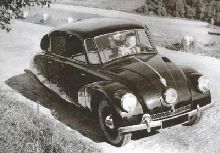 The cars were powered by an air-cooled, 1155 - or in the case of the 57 B 1256 cc - four cylinder, boxer engine. 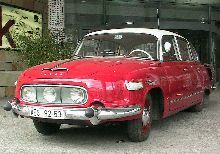 Ledwinka became world famous for the Tatra 77. This beautiful, streamlined car harboured an air-cooled, 3.4 litre, V8 engine. The model formed the basis for all the models the company was to build until long after the Second World War. Incidentally, Ledwinka spent six years behind bars in Czechoslovakia after the war. When he was released in 1951, he moved to Munich where he died in 1967.